Friday, I went to the IBEW Hall in Dorchester for the Labor Guild’s annual Cushing-Gavin Awards Dinner. We are very proud of the work that has been done by the Labor Guild, which is one of the very important initiatives begun by Cardinal Cushing. 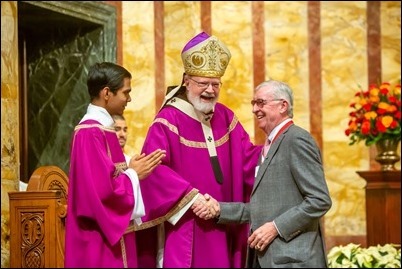 Historically, the Church in the United States, since the time of Cardinal James Gibbons, has been very supportive of our labor unions and the right of workers to collective bargaining. In these days of apparent prosperity in our country, income inequality continues to grow. Part of this is because workers do not have a strong voice in their economic future. This is where unions can play such an important role. Each year at the dinner, the Guild recognizes four individuals for service in labor-management relations: a member of the labor community, a member of the management community, a labor mediator and a labor attorney. 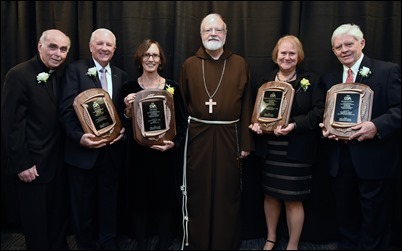 This year, the honorees were Stephen Finnigan, Stephen Coyle, Attorney Sarah Kerr Garraty and Attorney Anne Sills. That evening, I went to St. Mary’s in Waltham for a meeting with the local members of FOCUS, the Fellowship of Catholic University Students. Also with us was Father Eric Cadin of our Vocations Office, who is overseeing our campus ministry. 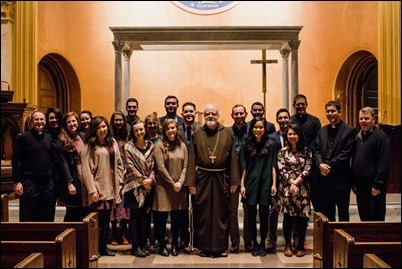 The FOCUS missionaries are recent college graduates who, after a time of training, work with the Catholic campus ministry at a university to encourage the students to be involved in their programs and to develop a personal relationship with Christ. Currently in Boston, we have missionaries working at Harvard, MIT and Boston University, and hope they will be able to expand their presence here in the future. The dinner was an opportunity for us to hear about their experiences ministering here in the archdiocese. Being an archdiocese with nearly 70 colleges and universities and nearly 400,000 students, this is a very important ministry for us. 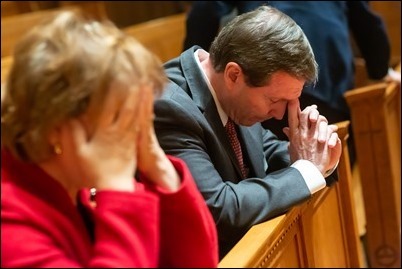 We are very grateful for all that FOCUS does here in our archdiocese and throughout the country. Sunday, I went to Quincy to celebrate Mass with Mother Olga and her community, the Daughters of Mary of Nazareth. 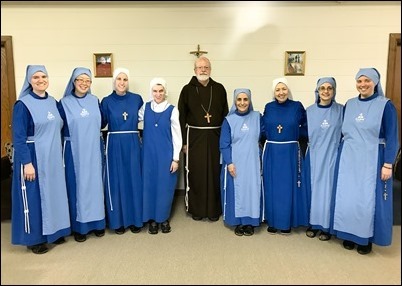 Their presence is a great blessing for us and I am so pleased to see that they continue to have young women interested in joining their community. Sunday was the Feast of Blessed Charles de Foucauld, and his is one of the charisms that has inspired the Daughters. So, I was happy to celebrate Mass with the Sisters on this special feast day. 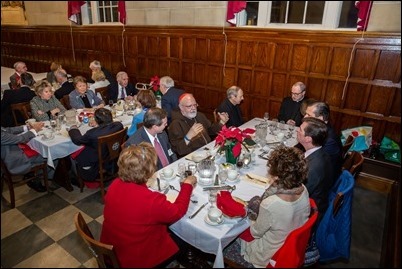 That evening, I gathered with the members of the Boston Area Order of Malta for their annual Advent celebration at St. John’s Seminary. 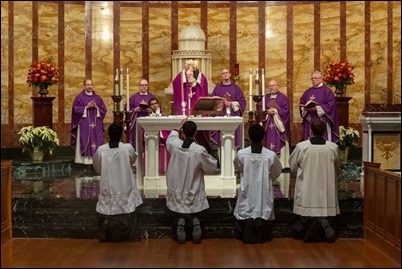 We began our gathering with a Mass celebrated in the seminary chapel. During the Mass, they honored Jack MacKinnon with the Bishop Fitzpatrick Award, which I presented to him. Following the Mass, we gathered for a dinner in the refectory. There, we heard a talk by Father Stephen Salocks, the interim rector of the seminary, on the history and mission of St. John’s. 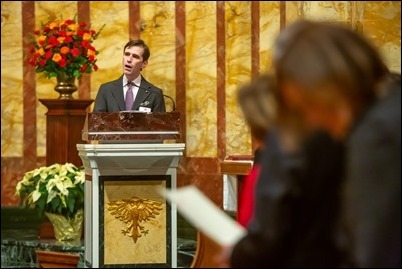 I also offered remarks, in which I reflected on the meaning of this season of Advent and the ways in which the Order of Malta puts into practice Christ’s call for us to love and serve one another. Damien DeVasto is concluding his time of service as the Boston Area Chair and he is being succeeded by Nancy and Craig Gibson. So, at the end of our gathering, we took some time to recognize him and a number of members of the Order offered words of thanks for his exemplary leadership and many accomplishments during his time as Area Chair. 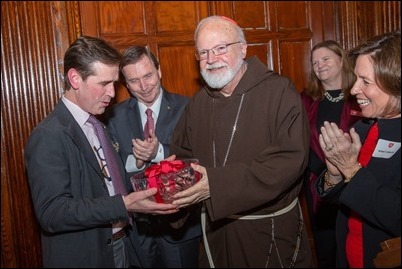 On behalf of the Order, I presented Damien with a lovely crystal bowl as a sign of their appreciation. 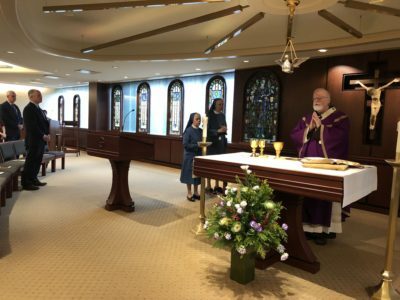 Sunday morning, we had our Annual Catholic Appeal Appreciation Mass at the Pastoral Center. 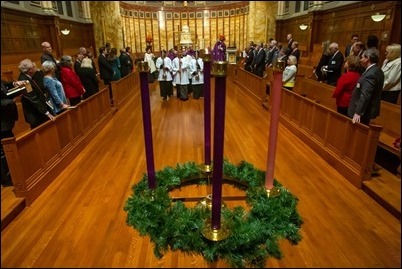 We hold this Mass each year as an opportunity to thank the people for their support of the Appeal. 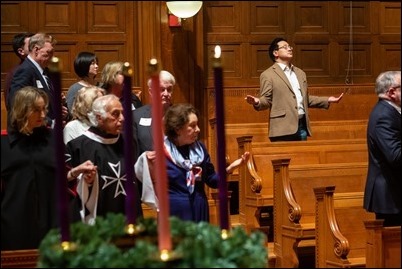 We are grateful for all that they do in helping to advance the mission of the Church in Boston. 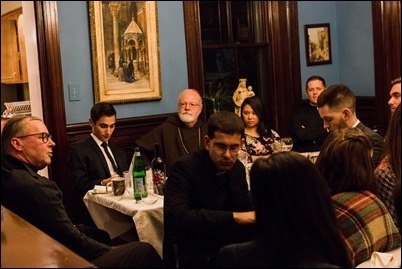 Sunday evening, I gathered for dinner with several members of the Neocatechumenal Way in Our Lady of the Assumption Parish in East Boston. They actually came to the Cathedral and prepared a nice dinner for me. We had a lovely meal together, during which they shared their personal witness of the work of God’s grace in their lives and their families’ lives. It was a wonderful encounter. 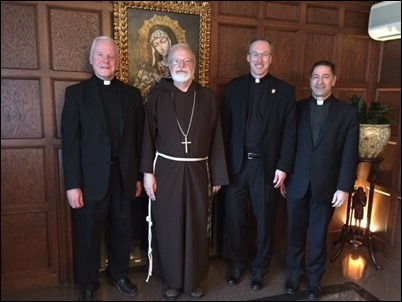 Tuesday I met with Father Timothy Kesicki, who is the President of the Jesuit Conference of the U.S. and Canada along with Father Michael Boughton, the rector of St. Peter Faber Jesuit Community in Brighton and Father Tom Stegman, the Dean of the Boston College School of Theology and Ministry. It was good to hear about the many Jesuits in formation at the Faber Community and the Jesuit priests residing there while pursuing advanced studies at the B.C. School of Theology and Ministry. I thanked them for the presence of their young priests, who are helping out in so many of our parishes and ethnic ministries. I know their presence is so greatly appreciated by the priests and people of the archdiocese. 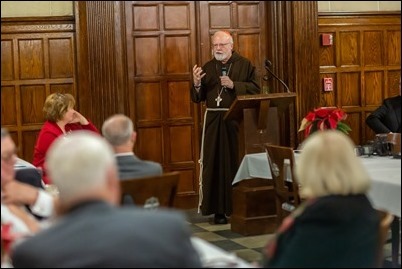 Father Kesicki has significant responsibilities as president of the U.S./Canada Jesuit Conference and shared with us reports of the good work that is being done by the Jesuits in many dioceses throughout the U.S. and Canada. 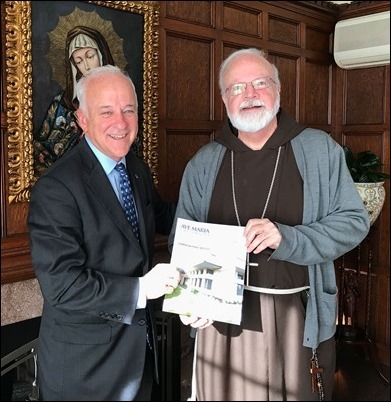 Wednesday, I met with Jim Towey, the president of Ave Maria University in Florida. I am on the board of the university and he wanted to update me on some of their activities and projects. 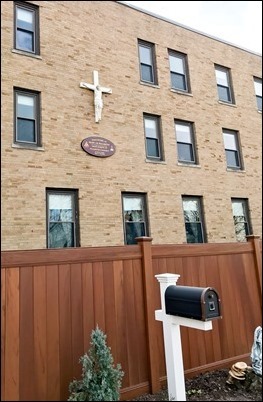 One of those projects is a special institute on Mother Teresa. As part of that, they take students to Calcutta and many different places in the world so they can work with Mother Teresa’s sisters. I understand it has been a wonderful experience for them. That afternoon, we had one of our regular meetings of the Massachusetts Catholic Conference. 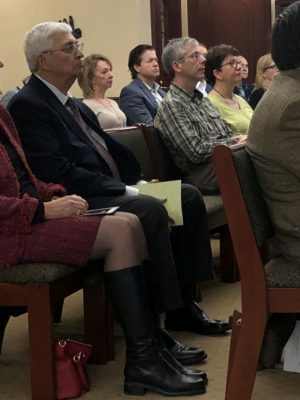 The meetings bring together the ordinaries of the four dioceses of Massachusetts and members of their staffs to discuss issues of common concern. 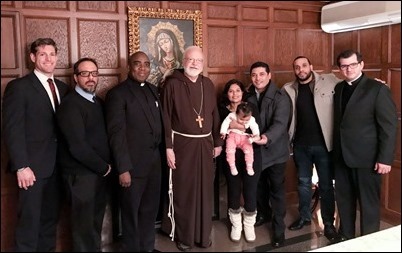 It was a very good meeting in which we discussed ways to help people understand what the response to the crisis in the Church has been in the four dioceses of Massachusetts since 2002. We will certainly be speaking more about that in the future. And finally, that day I also met Eustace Mita, who is the president of the Papal Foundation, of which I am now the chairman. He came to meet with me about the Foundation but also to discuss the work of his men’s conference Man Up Philly. 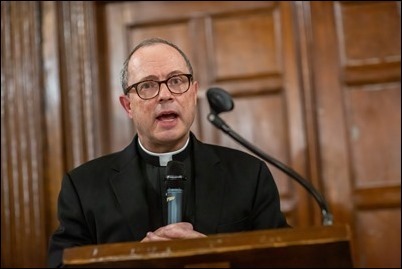 He has been very successful in creating this conference and helping to initiate it in different parts of the country and offered to help us if we wanted to start another men’s conference here the Archdiocese of Boston.